Anyone can get pediculosis or lice. These parasites attach to the scalp and have no respect for race, religion or economic status, therefore no one is exempt from getting them. What you can do however, is use some of these natural remedies to fight lice. Head lice are one of the most annoying mites. These undesirable visitors from anyone's head can be very bothersome for children and adults. For this reason, do not hesitate to use any of these home remedies if you want to eliminate them from your head as soon as possible. The fatal (for lice) vinegar: By having fungicidal properties and high acidity it can kill lice within hours. Grab a cup of vinegar, add two or three tablespoons of sugar and apply this preparation directly to the hair, massaging it to get well to the scalp. Then cover your head with a latex cap for half an hour while the preparation takes effect. Subsequently, wash and rinse your hair normally, passing a fine comb to remove the lice that were attached. Natural eucalyptus and lemon remedy: Another interesting natural remedie for lice is a good combination of eucalyptus and lemon. Take a few leaves of the plant. Boil for 15 minutes in a liter of water, and add the lemon juice towards the end. Next, apply on the hair massaging the most affected areas and let this lotion act for half an hour. Then rinse and wash your hair normally. Garlic remedy: Garlic is an excellent anti-bug. For this reason, you can prepare a simple home remedy with it, including a maceration with alcohol, distilled water and eucalyptus. It can be an interesting option. Try with a little oregano: Oregano is another element that has a great ability to kill lice and all sorts of similar bugs. You can use it on your hair both by applying an infusion prepared with it, as well as some essential oil of this plant, which may be even more effective, given its concentration. Do not hesitate to try tea tree oil: Without a doubt, tea tree oil is one of the best natural ways to kill lice and nits. This essential oil is great for fighting mites and you can also apply it to your pet. 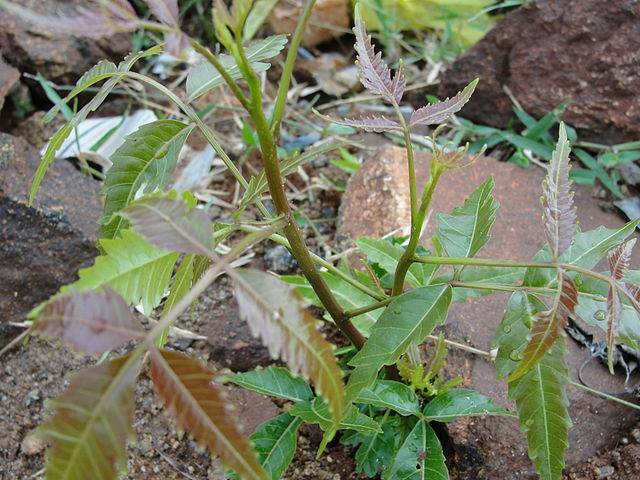 The neem, great to kick out lice. 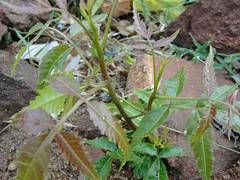 Has it happened that you were recommended neem oil to kill some bugs that eat your plants? Have no fear, since when put on your head it has the same outcome and does not damage at all. Anti fungicide, mites, bacteria and more. An excellent choice that's usually not as expensive, and can go very well. Try with this lavender remedy. This is a remedy that combines several essential oils, including lavender, which also has great potential to combat lice. Do not forget to try this good option. Remember NOT to use kerosene, acaricides, or other chemical elements that are not intended for that purpose. Unfortunately, they are very often used as home remedies for lice but may bring horrible consequences for your hair. Lice can occur with other diseases of the scalp. Home remedies for hair can serve for treatment. Which of these tricks for lice would you use? Which other do you know of or use? IMPORTANT: "Natural remedies for lice" 's mission is to keep you informed, but dont ever substitute a medical consultation. Write your comment in "Natural remedies for lice"